Your challenge when faced with student misbehavior during a school assembly is to respond in a way that leaves the misbehaving student's dignity intact and allows other students to enjoy a disruption-free program. Dr. Kenneth Shore has been a school psychologist for more than 25 years. He currently consults to various school districts and has a private practice. He received his doctorate in psychology from Rutgers University in 1981, and in 2001, was awarded Rutgers University's Donald R. Peterson Prize for outstanding contributions to professional psychology. Dr. Shore also was named School Psychologist of the Year in New Jersey for 2004. He has just completed a book and series of videos for educators on dealing with bullying, and he also offers workshops on that topic. Dr. Shore has written six books, including The ABCs of Bullying Prevention, Special Kids Problem Solver: Ready-to-Use Interventions for Helping All Students with Academic, Behavioral and Physical Problems, and Elementary Teacher's Discipline Problem Solver: A Practical A-Z Guide for Managing Classroom Behavior Problems. One of his articles for Sesame Street Parents was nominated for a national award. Dr. Shore has spoken before many professional and parent groups, been interviewed by CNN, appeared on numerous radio programs, and been featured on the PBS television series Raising Kids. He has served as a guest expert for various Web sites, and consulted to the United States government and the New York City Board of Education. He also helped establish a camp for children with learning disabilities, and was instrumental in developing a center that provided family therapy approaches to families with children experiencing school adjustment problems. For more information about Dr. Shore, click here to visit his Web site. Because it often is unsupervised, the school bathroom is a frequent site of behavior problems. Setting firm rules and carefully monitoring bathroom use can keep those problems to a minimum. Bullying can create a climate of fear and anxiety in a school, distract students from their schoolwork, and impede their ability to learn. Dr. Ken Shore describes strategies to help educators deal with bullying. The lunchroom often presents more challenging management problems than the classroom: students often believe that classroom rules don't apply there. Fourteen tips for improving lunchroom behavior. Elementary school teachers play a key role in conveying the importance of honesty and in teaching students to take pride in their work. Six tips to help prevent cheating in the classroom. Class participation is an important aspect of student learning. When students speak up, they learn to express their ideas in ways others can understand. Eight tips for encouraging students who are reluctant to participate in class. Class trips offer unique learning experiences and allow students to experience firsthand what they are studying. Nine tips to help you ensure educational and trouble-free field trips. Behavior problems often occur when students line up and walk through the halls. That is not the time to relax rules or lessen efforts to maintain discipline. Eight tips for keeping order in line. When responding to a child who has hit or threatened a teacher, the first goal is to ensure that he doesn't do it again. Eight tips for dealing with a child who strikes or threatens the teacher. Homework is a frequent source of tension among teachers, students, and parents. The challenge is to encourage students to take homework seriously, and to not spend time dealing with homework stragglers. With the current trend toward inclusion -- placing special-education students in regular classes -- educators often find themselves teaching students with problems they have little preparation for dealing with. Behavior problems on the playground present opportunities to teach students important lessons about sportsmanship, kindness, conflict resolution, and respect for property. Regular classroom teachers aren't the only educators who confront behavioral problems. Teachers of special subjects, such as art, music, and physical education also face disciplinary issues. Teasing can result in anxiety and low self-esteem, affect academic performance, and even escalate to physical conflict. Dr. Ken Shore offers six tips for preventing teasing in your classroom. When a student wets or soils himself or herself , it is critical that you deal with the incident in a way that is sensitive to the student's emotional well-being, while preserving her dignity and self-esteem. Vandalism in schools can take a variety of forms. Teachers who pay attention to the reasons for vandalism can play an important role in preventing it. For some students, vandalism is a way of expressing anger or frustration. For others, it is a way of impressing peers. Whatever its reason, even minor vandalism can markedly drain a district's financial resources. In dealing with an aggressive student, you want to send a strong message that aggressive behavior will not be tolerated while helping the student develop more appropriate ways of settling disputes. At some point, almost every student becomes angry in school. Anger isn't a problem as long as the student expresses feelings appropriately. It is a problem if the anger is expressed in a way that is hurtful or disruptive. An angry student might display his temper in a variety of ways. He also might trigger feelings of anger and frustration in you. Six more tips for dealing with an angry student. Students "bother" their classmates in a variety of ways: by poking, tripping, pushing, interrupting, and ridiculing them. Whatever form the bothering takes, you might need to get involved. If you have an argumentative student in class, you can spend considerable time debating, justifying, and explaining every decision. That diverts you from lessons and can lead to similar behavior in other students. Asthma symptoms and accompanying anxiety can hinder concentration on schoolwork and give rise to emotional difficulties. Eight tips to help minimize the effects of the asthma on students' academic and social success. A student who speaks to the teacher in a disrespectful manner undermines the teacher's authority; the disrespect becomes more serious if other students begin to follow suit. Six tips for dealing with the backtalker. Nothing is more unsettling than watching a student tip back in his chair, teetering on the brink of a dangerous fall. Before you can break a student of that risky habit, you need to make him aware of what he's doing. Some students just love to talk -- and their talking can become contagious. To gain quiet, you need to pay attention to the nature of your instruction, as well as to the structure in your classroom. Some students seem to find fault with everything. They gripe about homework, food in the lunchroom, their seat in the classroom, and comments of other students. Eight tips for dealing with chronic complainers. Almost every class has a clown. For a teacher, such a student rarely is a laughing matter, however. His antics disrupt the class, distract his classmates, and interfere with the days lessons. For some students, frequent crying is less a reaction to what is happening than an effort to get a reaction. Crying episodes interfere with lessons, distract others, and cost valuable teaching time. They must be addressed. Elementary teachers must recognize the importance of teaching organizational skills. Such skills will be essential in middle school, when students will be expected to keep track of their assignments and school responsibilities with little teacher assistance. Dr. Ken Shore offers eight tips for teaching organization skills. ESL students present many challenges for teachers, including teaching them academic skills, supporting their English proficiency, helping them adjust to the school setting, and helping them adapt to the American culture. Eight tips for dealing with an ESL student. Educators have differing views about whether students should be allowed to chew gum in school. Whatever your views might be, your efforts to deal with the issue should interfere with classroom lessons as little as possible. Six tips for dealing with in-school gum chewers. The challenge in working with hyperactive students is to balance their needs with the needs of your other students. Dr. Ken Shore offers nine tips for dealing with hyperactive students. Students who are perfectionists set impossibly high standards for themselves and become frustrated when they fail to meet them. According to the perfectionist's code, failure is simply not an option. Six tips for dealing with the classroom perfectionist. Pouting is a student's way of communicating displeasure. The best way to help a pouting child get over her anger is to respond mildly -- or not at all. Seven tips for dealing with a student who pouts. The basic mission of school is to teach children the three R's, however a fourth R merits teachers' attention as well. That R stands for respect. Five tips for dealing with rude or disrespectful behavior. The problem of school phobia requires immediate attention. Prolonged absence from school can result in significant academic and social difficulties. In addition, the longer a student is absent from school, the greater his anxiety about returning is likely to become -- and the harder it will be to get him back. Eight tips for dealing with a school-phobic student. When responding to a student who doesn't complete in-school assignments, you first need to figure out why she is not completing the seatwork. Does she understand the directions? Can she do the work? Is she demonstrating poor time management or a lack of motivation? Included: Nine tips for getting successful seatwork from all students. The shy child is anything but a discipline problem. While many of her classmates work hard to get attention, the shy child works equally hard to avoid it. Six tips for bringing out the best in shy students. All children need a connection with their peers. Not only are socially isolated children denied the opportunity to learn the skills necessary to develop and maintain friendships, their schoolwork also can be affected as their attention drifts to social concerns. Six tips for helping the socially isolated student form peer relationships. Calling out is one of the more common problems teachers encounter in the classroom -- and one of the easiest to manage. Six tips for dealing with students who consistently fail to raise their hands before speaking. When deciding how to respond to students who cheat, you need to think not just about punishing the behavior, but also correcting it. Failing to focus on the reasons for cheating can simply create more crafty cheaters. Five tips for dealing with a student who cheats. Students in the elementary grades don't often fall asleep in class. When they do, it can be a simple distraction or a symptom of a larger problem. Six tips for dealing with the sleepy student. Young students who leave the classroom without permission generally do so because they are upset about something, they want to go somewhere more appealing, or they are trying to get attention. Tips for dealing with students who leave the classroom without permission. When responding to a theft, you have three goals: to return the item to its owner, to identify the guilty student, and to respond with a mixture of firmness and understanding. Seven tips for dealing with a student who steals. Profanity has become increasingly common in the casual conversations of adults. That does not mean, however, that you have to tolerate its use by your students. Dr. Ken Shore offers seven tips for dealing with students who swear. When working with children with low self-esteem, the challenge is to restore their belief in themselves, so they'll persevere in the face of academic challenges. That means showing appreciation for the things they do well, expressing confidence that they will improve in areas in which they don't do well, and adapting instruction so every student experiences success. Students with math anxiety have confidence in only one thing -- that they can't do it. The teacher needs to prove to those students that they can do it, convincing them -- through a variety of successful experiences -- that they are more capable than they think. Nine tips for banishing math anxiety from your classroom. If a child does not learn good hygiene by the time she leaves elementary school, she likely is in for a rough time in middle and high school. Discover five tips for helping a student with poor hygiene. Telling a student with poor listening skills to "pay attention" is not sufficient to solve the problem. Teachers can, however, promote good listening skills by varying the ways in which they communicate, and by making subtle changes in the classroom setting. Eight tips for dealing with students with poor listening skills. In choosing how to respond when a student with special needs presents behavioral problems, teachers need to consider what underlies the behavior, and provide the student with appropriate support and guidance. Seven behavior management tips for students with special needs. Elementary school children sometimes make comments or behave in a way that suggests they feel like killing themselves. If you have a student who is exhibiting such signs, you need to take action. Eight tips for dealing with a student who threatens suicide. The unmotivated student is the one whose attitude toward schoolwork screams, "I don't care!" He gives up at the first sign of a challenge. He is content with just getting by. When working with an unmotivated student, you first have to convince him that he can be successful, and then you must figure out how to capture his interest. Cyberbullying -- sending humiliating or threatening messages or images through a computer or cell phone -- is a new and growing form of bullying that has emerged with the advent of technology. And it's a problem that schools must deal with. Just as bullies warrant your attention, so too do their victims. Your success in counseling those victims will depend largely on your ability to establish trust in the face of embarrassment and reluctance to talk about what happened. No matter how diligent you are in trying to prevent bullying, incidents are likely to occur. Dr. Ken Shore offers some steps you can take to deal with those incidents and avoid their spinning out of control. Children are not born bullies. Bullies are made -- which means they can be unmade. Dr. Ken Shore explains the most common factors that make a bully and some common characteristics that bullies share. Prevention is, at its essence, a process of education, and many of the lessons students need to learn to dissuade them from bullying must come from you. Dr. Ken Shore offers teaching strategies you can use to bully-proof your classroom. Research indicates that when schools implement a comprehensive program of bullying prevention, they can significantly reduce the problem of bullying. Discover what steps you should take to implement a bullying prevention program in your school. Erroneous beliefs about bullying downplay the seriousness of the problem, and keep caring adults from taking the necessary action to stop it. A look at the lies -- and the truth -- about bullying. Bullying takes place when a stronger or more powerful child intentionally and repeatedly hurts, threatens, or torments a more vulnerable child. Bullying is deliberate, happens more than once, and represents a marked imbalance of power between bully and victim. My husband and I are avid readers. 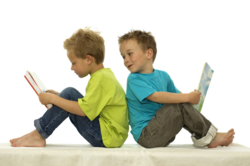 What can we do to encourage our children to enjoy reading too? My son is about to enter middle school and I'm worried about peer pressure. What can I do to help him avoid succumbing to that pressure? My fifth-grade daughter is usually home alone after school because of my work schedule. What can I do to make sure shes safe and to give me peace of mind? Im not pleased with the science education my sixth grader is receiving at school, so I want to provide what the school is not. What can I do to encourage her interest? A girl in my fourth-grade class has a hearing impairment. Besides seating her in the front of the room, what can I do to make sure she understands what I am saying? I teach fifth grade and often find myself spending more time helping my students get organized than teaching academic skills. What can I do to help them keep track of their materials? I teach sixth grade and have in my class a student who has a severe case of asthma. What are the key things I need to know? I have a child in my third-grade class who does not seem to have any friends. I've tried encouraging him to join other students on the playground and during lunch without much success. What can I do to help him? My five-year-old daughter is starting kindergarten this year, and I'm a bit nervous about her adjustment to school. What can I do to make the transition as easy as possible? A child in my fifth-grade class has a reading disability. What can I do to help him feel better about reading? My son just brought home his report card and I was very disappointed. Can you give me some pointers on how to convey my expectations without giving rise to an outburst? As part of the trend towards inclusion, a cognitively impaired student was moved into my regular education class. What can I do to help her be successful with the class work? My son is in fifth grade. I recently received his scores on his standardized tests and the scores are poorer than we (or he) might have expeected. Should I discuss the results with him and, if so, what should I tell him? I have a child in my fifth-grade class who has a reading disability. What can I do to help him feel better about reading and, hopefully, become a confident and enthusiastic reader? After attending a parent-teacher conference, I requested -- and have been granted -- permission to observe the class. Would you give me some idea of what to look for during the observation? A girl in my class has a very noticeable speech impediment. What can I do to help her feel less self-conscious about her speech and more confident in class participation and in dealing with her classmates? A student who has diabetes recently entered my class. What do I need to know about a student with this condition? What guidelines should I follow in handling situations that might arise in the classroom? My daughter's teacher is recommending that she be retained next year. My husband and I are really ambivalent about agreeing to it. What factors should we consider in making the decision? We are planning to move to another community in a couple of months and our children will be attending a new school district. What can we do to ease their transition to a new school? I teach eighth-grade English and a boy in my class has a pronounced stutter. I want to help make him comfortable but I'm afraid I'm going to do something to make him more self-conscious. What do you suggest? I have two children who spend too much time in front of the TV. I want to set some limits for their TV viewing, but I also want to be fair to them. Do you have some ideas about how I might do that? I am a fourth-grade regular education teacher and recently a student was placed in my class who has cerebral palsy and uses a wheelchair. What can I do to help her? My daughter's teacher has suggested that I get a tutor for her because she has been struggling with reading. What factors should parents consider when hiring a tutor for their child? I recently started a full-time job and I'm worried that both parents working outside the home might have a negative affect on our kids academic performance. What can I do to help them continue to do well in school? Do you have any suggestions for managing a cafeteria in a K-2 building? The noise level is tremendous! In the event of an emergency, I don't think we could get the children out safely because of the chaos that exists. Help! What are the steps parents should take if they suspect they have a gifted child? Is formal testing to identify gifted children done in public school or should parents seek outside testing? My son has been giving me a hard time about going to school. He resists getting out of bed, takes forever getting dressed, complains about having a stomachache, and if all else fails throws a tantrum. What can I do?